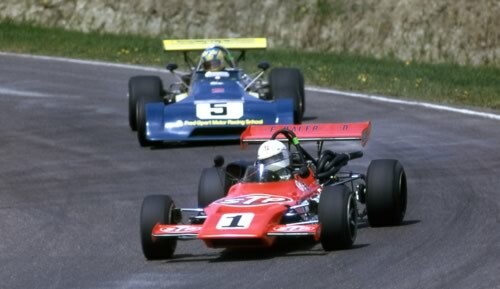 CASC made two significant changes to their national championship for 1974, opening it to non-Canadian drivers and adopting the name and regulations of the British Formula Atlantic series. It was felt that Formula B was not a good name for Canada's main national championship as it raised the obvious question of where was Formula A. The cars would be the same, coming as before from the English constructors March, Chevron, Brabham and Lola but the new rules introduced Ford BDA engines which were available from Brian Hart, Nicholson McLaren and Alan Smith. Although CASC remained involved throughout, the series expanded into the USA in 1978 and was marketed as the North American Formula Atlantic Championship and as the FIA Formula Mondial Championship for 1983. After the Mondial fiasco CASC were unable to continue and the focus of Formula Atlantic in North America moved to the US-based WCAR/ECAR series.